The price of a home in Lake Tahoe jumped 18 percent from this time last year, making the median price of a home $679,500. Sales also continued to climb, with overall volume sold up 27 percent. The figures are part of a quarterly report released by our company, Lake Tahoe-based Chase International. The numbers compare all MLS home sales from January 1, 2018 through June 30, 2018 to the same time frame of 2017. Million-dollar homes continue to soar. There was a 38-percent jump in homes sold for more than $1 million while homes priced under the million-mark stayed flat. Tahoe City and Incline Village. saw the biggest increase in the sale of million-dollar homes, up 44 and 46 percent, respectively. Incline Village continues to have the highest median-priced home, up seven percent to $1,180,000. The price of a home in South Lake Tahoe, the lowest median on the lake, rose 12 percent to $502,500. The East Shore experienced the largest increase in homes sold for less than a million dollars, up 63 percent. The area also had the largest increase in sales overall, with a 66 percent jump in volume sold and 47 percent in units sold. Lake Wide Sales reflect nationwide trends, as the National Association of Realtors reports that the median listing price for homes reached an all-time record in June ($299,000). The organization attributes the increase to a shortage of homes for sale and high buyer demand continuing to push asking prices. The price of Lake Tahoe condominiums also continues to rise, with the median price up eight percent to $422,500. The overall sale of condos on the lake was up nine percent in volume. 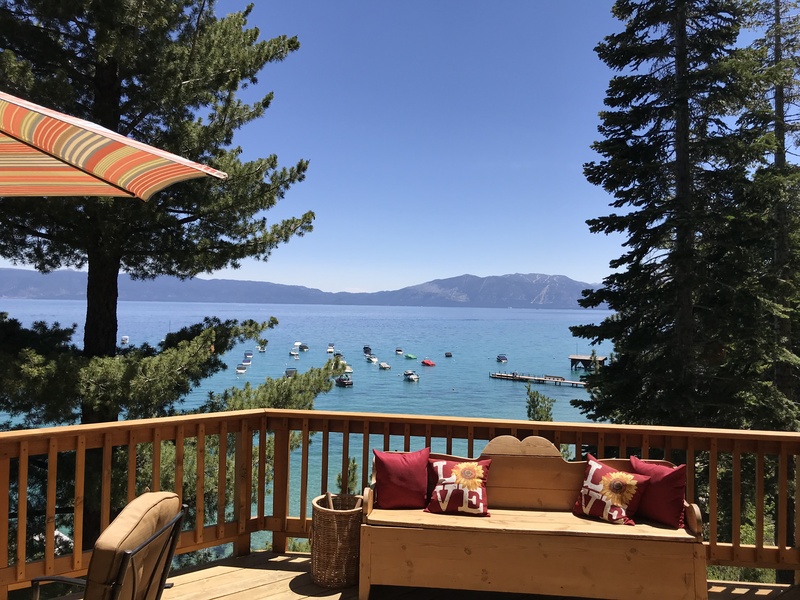 The Lake Tahoe luxury market has soared with the over million-dollar market hotter than it has been in years, said Susan Lowe, Chase International senior vice president.